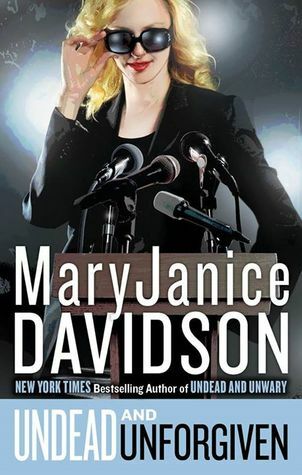 This entry was posted in Mary Janice Davidson, Undead, Urban Fantasy. Bookmark the permalink. Are they up to 14 already! Oh, it’s sad when series that we love so much must come to an end… I have to say, I have so much appreciation for series that can hold on to their readers throughout so many volumes. That, for me, is proof of real talent 🙂 Lovely review! I really enjoyed the first few books in this series but somewhere in the middle she lost me. Sounds like this book returns more to what made the earlier books so successful, so I’m glad it was such a great read for you Cass!!!! Good to hear! I need to get caught up with this series. It used to be a favorite then had a rough patch and I’ve jut never got caught up. Glad you enjoyed it Cass! Wow, number 14! I’m glad you have made it this far and still giving out 5 stars! This author and series sounds like so much fun, I need to get a copy! This is a series I have long wanted to try. Nice to see it ends on such a positive note.